Now that we’re in November (how did that happen?) 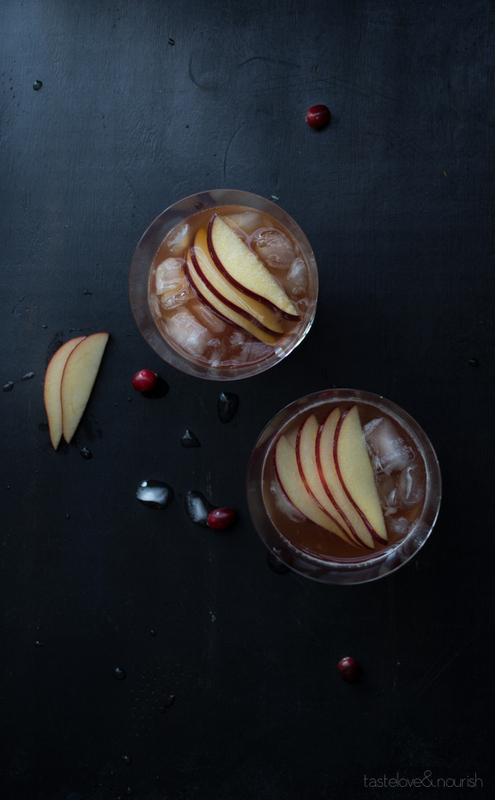 it’s time for fall cocktails to start getting in the Thanksgiving spirit. Apples are the star of the season and these are my favorite drinks celebrating apples. 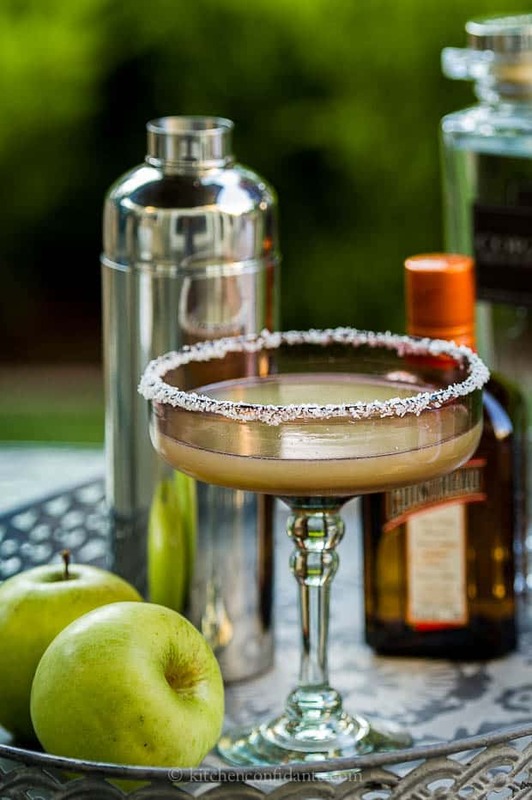 I don’t like overly sweet drinks so I make drinks that taste like the alcohol they feature, so if you’re looking for a carmel apple martini this is not the list for you. From ciders to margaritas to sangrias, here are the 10 best fall apple drinks for you or a crowd. Cranberry Cider Smash, since cranberry and apple make a delicious pie filling together so why limit yourself? 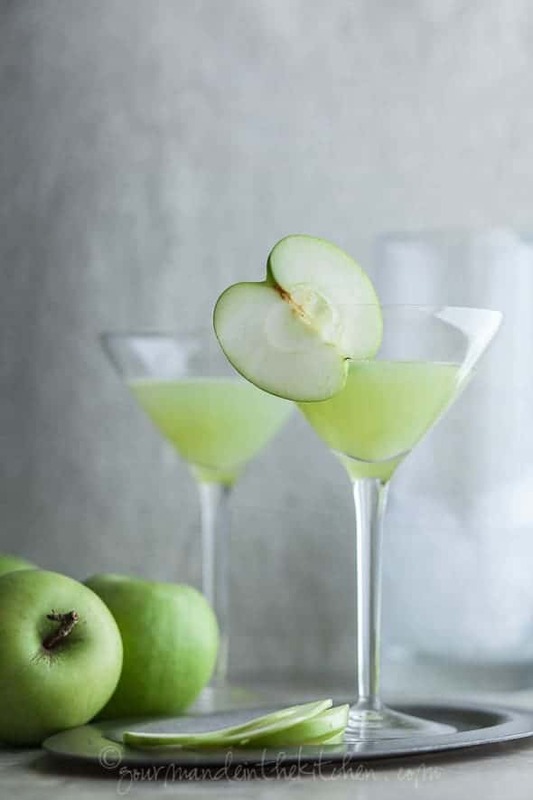 Green Apple Ginger Martini for something crisp and refreshing. 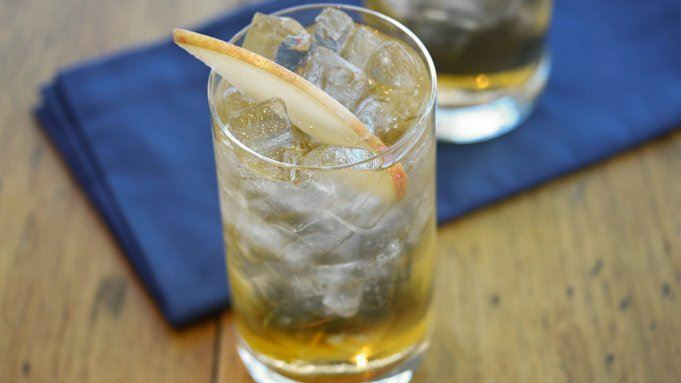 Bourbon Apple Shrub Cocktail. If you’ve never tried a shrub this is a great recipe to start with. 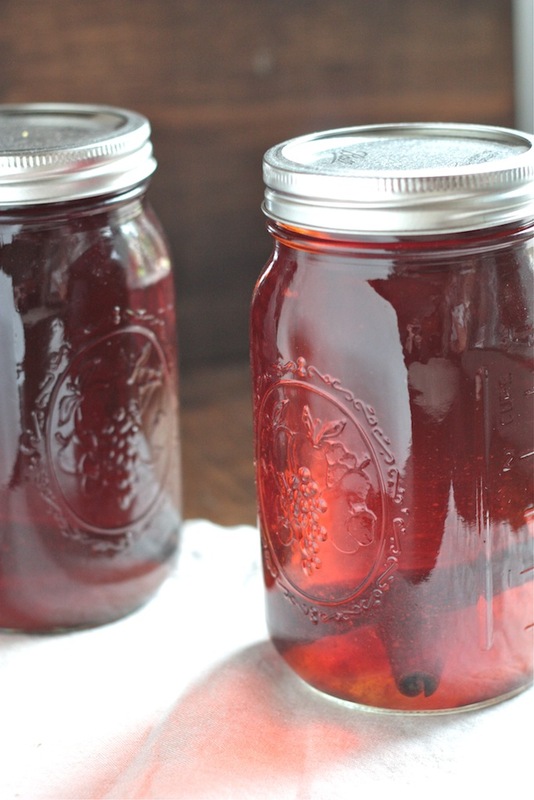 They’re a vinegar based syrup that adds fruit flavor without being overly sweet. Apple Cider and Champagne Sangria is perfect for a crowd. Smoky Apple Cider to go with the first fire of the season. Apple Pie Moonshine since I love a good infusion. There are commercially available ones, but homemade is so much better. 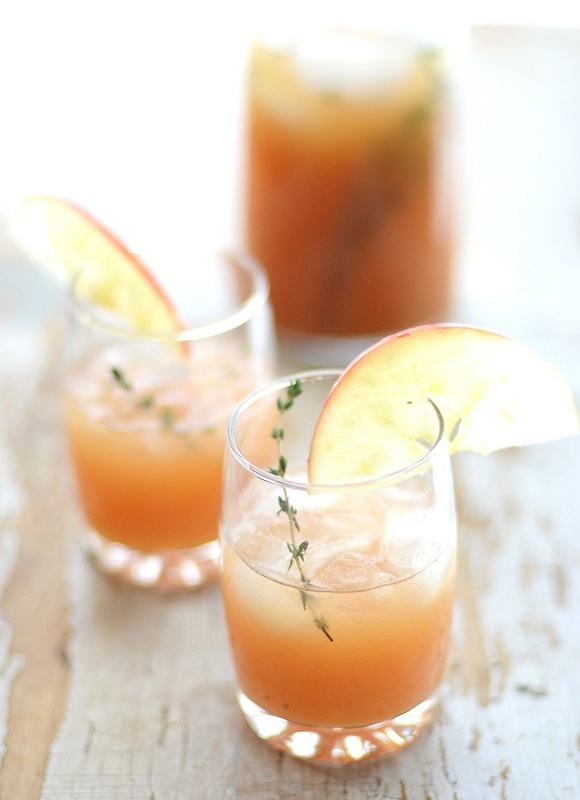 Cider Rum Punch with the hint of thyme is an unexpected way to get your rum fix. Bourbon Bomber. While my husband might be horrified that I’m mixing his bourbon with something, this is a great way to enjoy bourbon without the burn. Apple Margarita because who doesn’t love a great margarita? 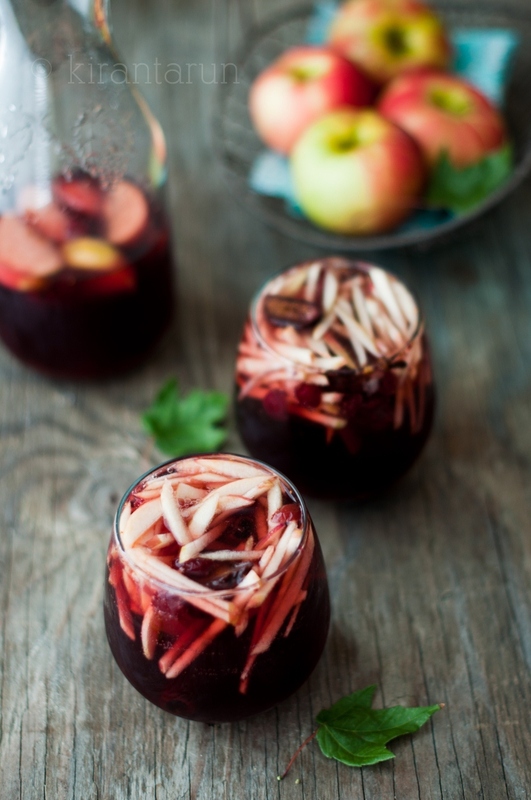 Honeycrisp Apple Sangria feats my favorite fall apple. Not too sweet but great spiced flavor.